Acrylic dice tower with wood paddles and matching dice tray. 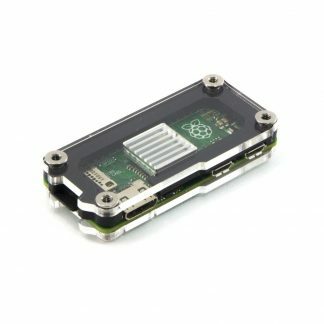 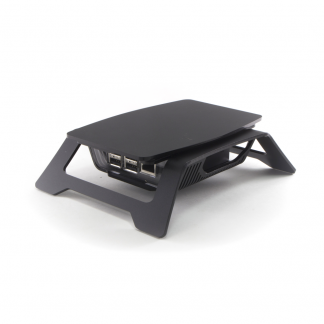 This is the dice tower for on-the-go gaming! 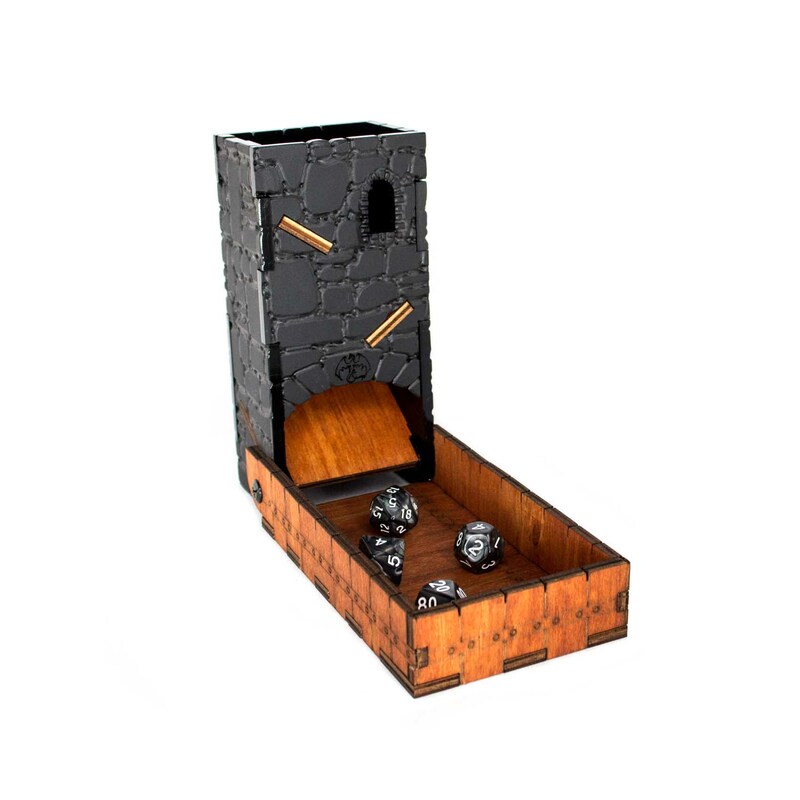 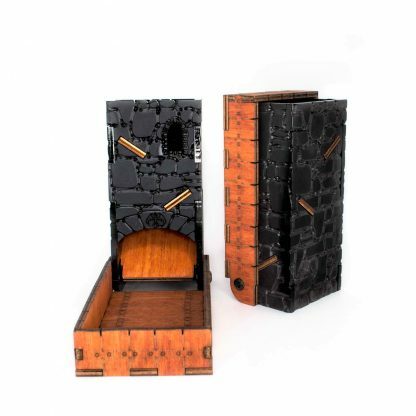 The Drawbridge Dice Tower in our popular DragonStone design comes with attached dice tray that folds up for travel. 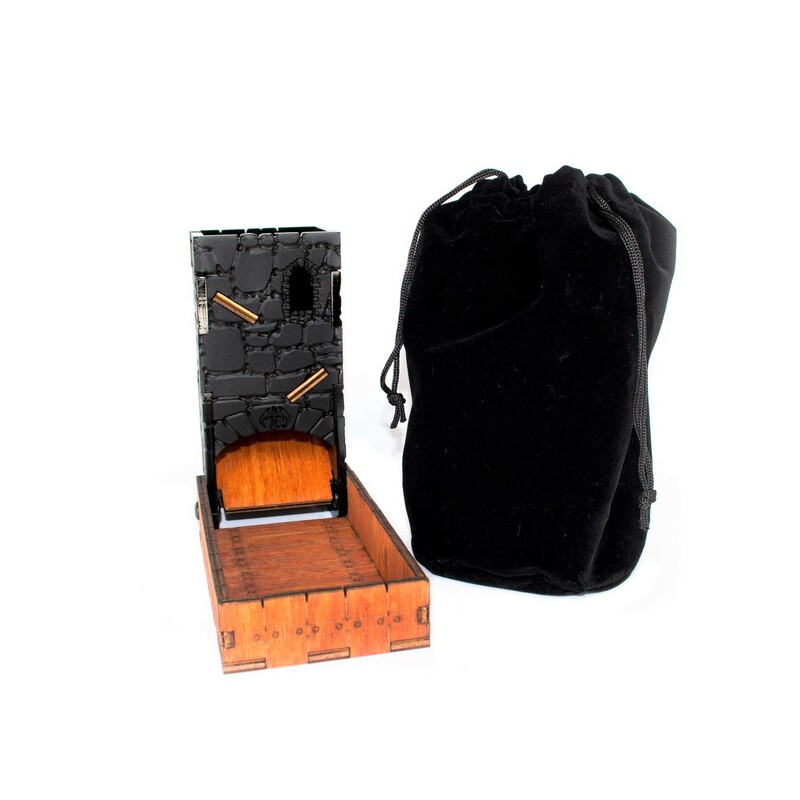 Included drawstring travel bag provides the perfect grab and go protection for your dice tower.